Can a convicted killer be rehabilitated through bowling? Can a Firebolt snowmobile be repaired with candle wax and duct tape? 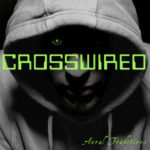 Can Snow Valley keep hiring new detectives for their murder-solving needs? Can we get any answers at all or can we only ask questions? The Snow Valley Snow Jam is getting closer, and Charley’s past keeps coming back to haunt her. Lester LaBeouf is seemingly alive and Allie Allison, Lester’s murderer, is fresh from jail after an early release for leading her prison mates to victory in a bowling tournament. Can she make it race day alive? The Snow Valley Snow Jam is the third largest snow mobile race in Western Massachusetts. It’s very dangerous and highly competitive, perhaps murderously so. 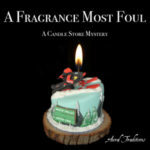 Join sleuth-by-accident Charley Chandler as she takes candle-making and crime-solving to new heights. Hurricane Norris continues to rage as Boyle and Abrahms track Dr Bannister to KANTO, hoping she’ll lead them to Simon.